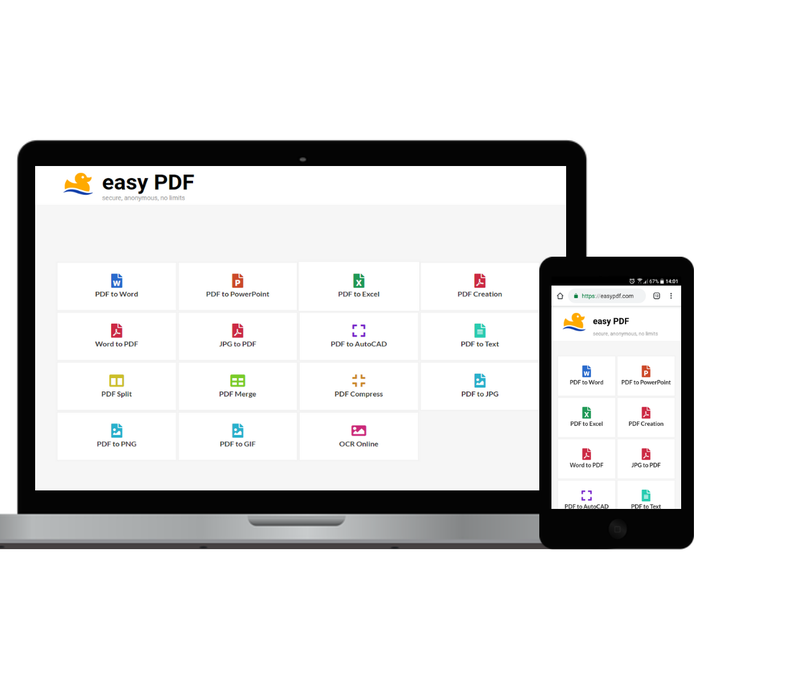 EasyPDF.com is a new online PDF converter that finally addresses the needs of modern person - It is Secure, Anonymous and Free. EasyPDF.com is an all-in-one online tool that offers all types of PDF conversion to other formats and vice-versa. OCR conversion of scanned images is supported as well. Using this tool will make your PDF management easy. Easy PDF is a useful tool for document management and working with PDF files.